For the handful of people who have earned all the money they ever want to in their life, feel free to tune out the rest of this post. 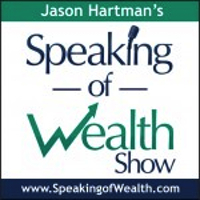 For the other 99.9% of the population still in the throes of dreaming and scheming about ways to create true financial independence, Jason Hartman is here to offer the best Christmas present you’ll ever get, should you prove yourself wise enough to accept it. We’re talking about the Meet the Masters of Income Property Investing (MTM) educational event, which takes place at the Hyatt Regency in Irvine, California, on January 18-19, 2014. What’s so great about MTM? Not much except it’s the only education you’ll ever need to become a successful real estate investor. We’re serious about that last sentence. Jason Hartman has earned a lot of money in his life, most of it thanks to income producing property. In fact, he’s made so much that he doesn’t lay awake at night worrying about how to add more zeros to the figure in his bank account. These days he finds more satisfaction in sharing his money-making techniques with as many people as possible. Under the auspices of his Platinum Properties Investor Network, Jason has developed an annual educational event that gathers a panel of industry experts from around the country for a two-day immersion learning experience. Pay attention, take good notes, and expect to learn Jason’s step-by-step process to creating wealth in today’s shaky economy. There’s something else we should tell you right now… Not to spoil your idea of education as a wall-to-wall snoozefest, but we know from previous experience these three day Meet the Masters seminars are FUN! Our dynamic speakers foster a vibrant atmosphere in which to meet new friends and share ideas. Long before Sunday afternoon arrives you’ll feel it, the sense that you’re part of something exciting. Maybe that’s because you ARE part of something exciting. Life as you know it could change for the better if you simply take what we’re teaching and run with it. We’ve seen it happen before. This event is held at the Hyatt Regency Irvine in their “ultra-swanky” lecture hall style conference room. Don’t miss! It’s time to put your new action mindset to good use. Stop thinking about doing something and actually do it. How many times in life have you missed out because you were too slow to pull the trigger? For most of us, that has happened a time or two. Here’s your chance to reach down deep and prove to yourself that you are ready to make a life-changing decision. Early Bird pricing is in effect! Fair warning: Meet the Masters sells out each and every year. If you have any interest at all, we strongly suggest you click here for more information and to register. The price will never be cheaper than right now. Is Inbound Marketing the “Holy Grail” for Your Business?